After many months of planning and preparation, Ruby Drive Elementary School students were able to embark on a culinary journey with the assistance from Placentia-Yorba Linda Unified School District (PYLUSD) chef, Orlando Leuvano and the entire Nutrition Services Department under Director, Suzanne Morales. 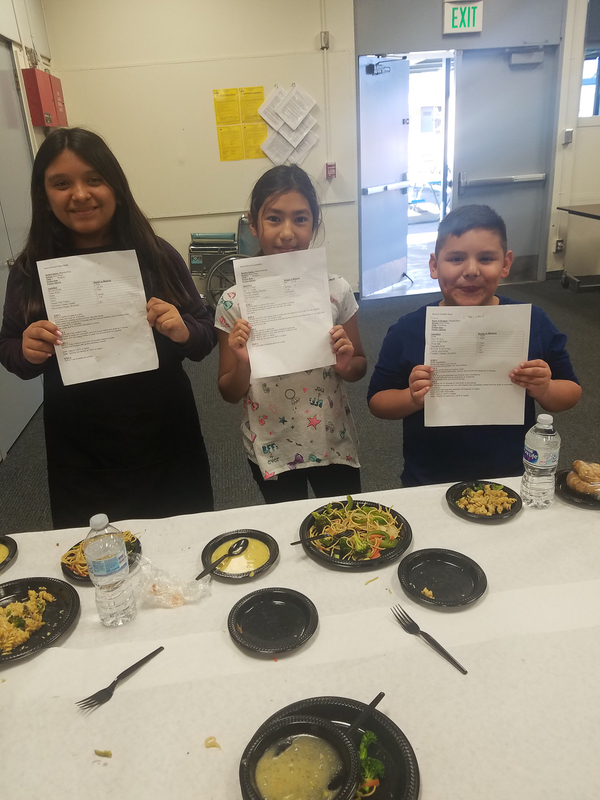 The students were challenged with developing a recipe that contained broccoli as the main ingredient, met the nutritional guidelines followed by the District, and served six people. The student creations also needed to be prepared and presented within 60 minutes. In front of a panel of judges, students presented their written recipes that detailed a list of ingredients and step-by-step instructions for preparation. They also offered a taste test of their meal to the panelists. Miranda Rios made lemon broccoli pasta skillet, Sammy Ruiz made broccoli cheddar soup, and Valeria Madrigal made a steak and broccoli quesadilla. They were the students selected to move to the final round on Tuesday, March 26 to compete against three finalists from Rio Vista Elementary School. The winning recipe will be added to the PYLUSD lunch menu! Congrats, young chefs! Chef Luevano with Ruby Drive students. 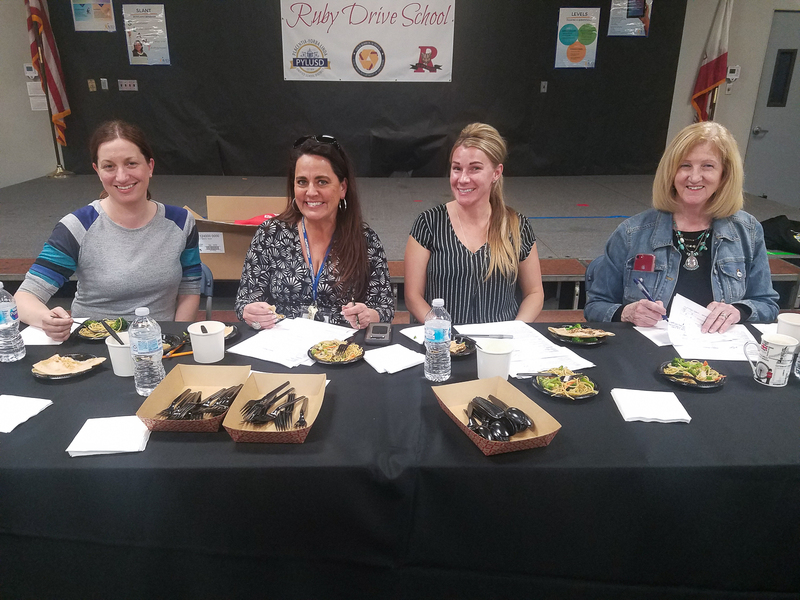 Be the first to comment on "Ruby Drive Elementary students take part in PYLUSD Nutrition Services culinary contest"